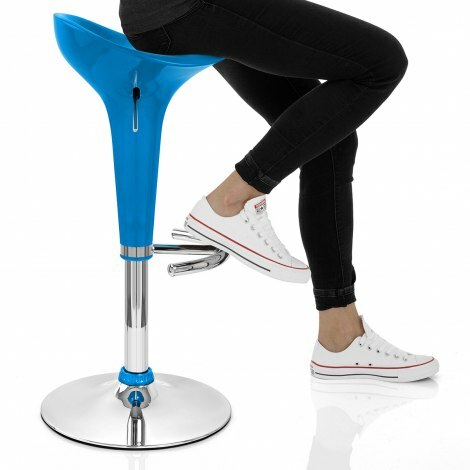 Fresh and funky, the Gloss Coco Bar Stool Blue is a bold design that is sure to liven up its surroundings. With a seriously sleek, eye-catching design and a wipe clean finish, the Gloss Coco is a great practical model with a marvellously modern vibe. Packing a visual punch, the vivid blue seat is sculpted from high gloss ABS resin, contouring the natural shape of the body before tapering elegantly down into a mirrored chrome stem. 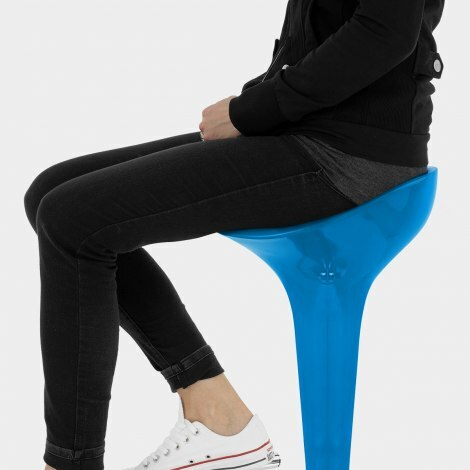 For a complementary aesthetic, a matching decorative blue collar sits atop the base, whilst a trendy curved T-bar footrest provides extra support. A gas lift mechanism provides variable height and 360 degree swivel for ultimate ease of use, meanwhile the round base hides a protective rubber ring beneath to help preserve floors.